Colt offers the latest technology in impulse or induction ventilation systems. Over the past ten or so years, the strategy for ventilating underground car parks has changed dramatically. Traditional ducted systems have been replaced by so-called ‘jet fan’, ‘impulse’ and/or ‘induction’ systems. These use relatively small fan units positioned around the car park to direct the smoke towards the extract points. 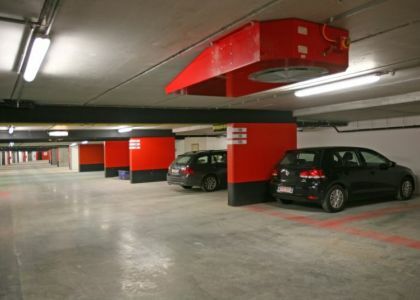 As a result, the need for distribution ductwork throughout the car park is eliminated. This may save car-parking spaces and make the car park a lighter, less cluttered environment. Colt offer Jetstream impulse fans and Cyclone induction fans specifically for this purpose.